While waiting for Apple's $250 Beats Powerbeats Pro to start selling at some point next month and pondering the purchase of a refreshed pair of AirPods with or without a swanky wireless charging case (at $199 and $159 respectively), it might not be a bad idea to also consider the Powerbeats3 as an affordable way to satisfy your wireless audio needs. Obviously, these are not "totally wireless" headphones, as a cable runs through them to make sure you never misplace one of the tiny earbuds that come with hooks as well promising "maximum" comfort and stability. But Apple's Beats Powerbeats3 use Bluetooth technology to connect to your iPhone (or Android handset) instantly and reliably without having to plug them into a conventional audio jack. The problem with these is they're typically rather expensive, at $199.99. 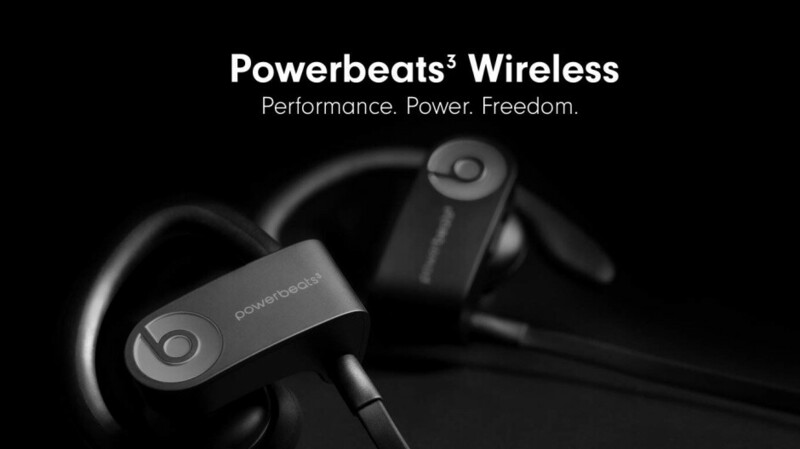 Then again, we've already seen them discounted by up to 50 percent a number of times over the past year or so, and naturally, the fast-approaching release of the Powerbeats Pro guarantees even more deals. The latest brings the price all the way down to $61.99, although unsurprisingly, there's a "catch" you may want to consider before pulling the trigger. The Bluetooth headphones Best Buy is currently selling at an incredible discount of up to 70 percent are not brand-new units. Instead, they're certified refurbished as part of the retailer's Geek Squad program, which truly feels like the next best thing. Best Buy is vouching for the flawless functionality, "highest performance and quality standards" of these renewed accessories, each of which is tested to verify it works "like new" using a "rigorous multipoint inspection" process. You also get a warranty card with every single color variant on sale today, from black to white, red, yellow, and blue, although the extent of the warranty included is oddly unspecified. Our guess is you're looking at a 90-day warranty, which makes this an almost impossible to refuse deal when considering features like 12 hours of battery life, Fast Fuel (aka rapid charging) technology, sweat and water resistance, "high-performance" sound, and Siri activation using RemoteTalk.